An elderly resident of an inner-city tower block is brutally attacked and left for dead. Her neighbours, a pregnant alcoholic, a vulnerable youth, a failed actress and a cameraman with a dark secret, are thrown together in their search for answers. Misfits and loners, they are forced to confront uncomfortable realities about themselves and each other, as their investigation leads them towards the surprising finale. A third novel by the award-winning film-maker Tanya Bullock. 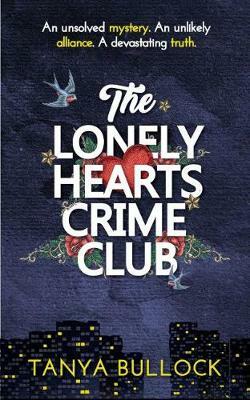 Join us to celebrate the launch of Tanya Bullock's fantastic new novel The Lonely Hearts Crime Club.